Romans built a great empire upon the mathematical, philosophical and medicinal foundations of Ancient Greece and left a great heritage regarding military, administration, architecture and law. In this context, they have built the administrative and legal foundations contemporary western civilization. Rome was founded as an Italian city state (in 509 BC) and captured the neighboring states due to its expansionist policy. Initially it became a dominant force in Italy and then in Mediterranean. They established a great military force and rules a vast pieces of lands in Europe, Asia and Africa largely thanks to their army visions called legions who warred with absolute discipline. 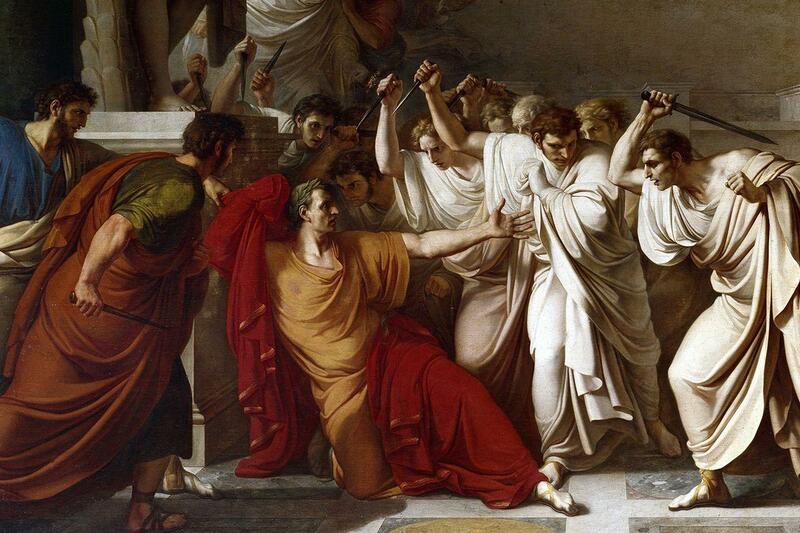 Rome was a republic for a long time. Senate of Rome, comprised of elected members, ruled the country for many years through unanimous decisions and when they deemed necessary, they appointed consuls who accumulated administrative power for fast decisions. 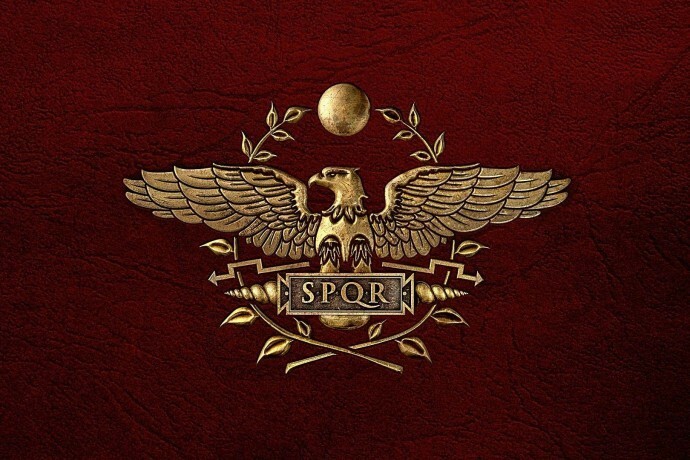 Throughout its history, Roman Empire faced long-scale public rebellions, military attacks and invasions; however, they were able to overcome all these thanks to the great ability of the senate. The biggest military threat and invasion came from Hannibal of Carthage which was the super power in Mediterranean after Rome. In B.C. 218, with its army reinforced with elephants, Hannibal moved into Italy through France and he almost captured Rome thanks to his genius strategic move. Romans lost the battles many times. But senate eventually found a way to decapacitate Hannibal and counterattack for Carthage. It is important here to note that the attack of Hannibal was not a simple one. His command of the army, his tactics and victories make him one of the biggest military masterminds of the ancient world. 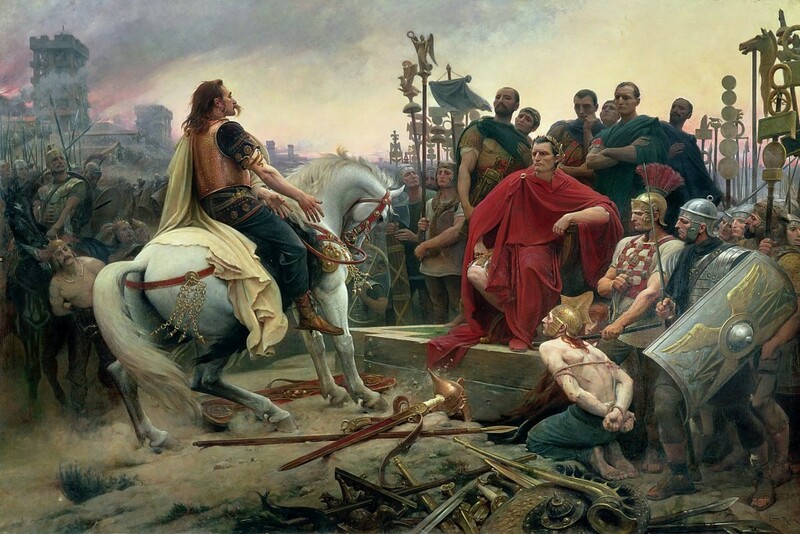 He was able to beat a great enemy like Rome many times and stay at foreign lands for many years. Long standing enemy of the Rome was the barbarian tribes in the north. Now the modern northern European nations, those people were always degraded as barbarians by the Romans since they did not belong to the Roman civilization. The most famous rebellion of the Roman Republic was without doubt the one initiated and organized by a gladiator called Spartacus. 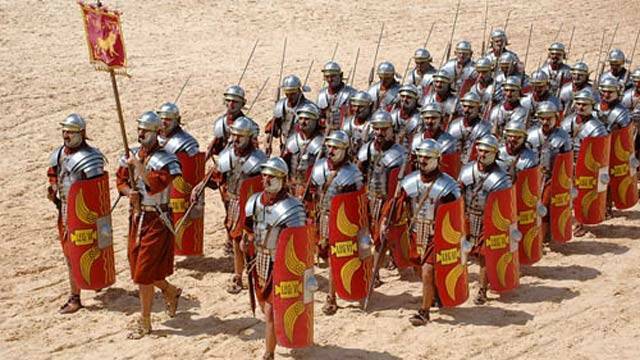 Initially started as a regional uprising, it turned into an organized rebellion and Rome had to use big armies to suppress it. The transition period from Republic to Empire is so full of intricate and complicated that it was featured in many movies and books. The main topic of this article is the transition period. When the wars in the name of Rome peaked, Senate chose three co-rulers to rule glorious military campaigns and command the armies. In this triumvirate, Julius Caesar became a prominent force due to its wit, oratory and influence in the army and he seized the governance. Out of fear that he would declare himself tyrant, some senators plotted an assassination and murdered him in the senate. A civil war broke out upon the assassination. Caesar’s foster child Octavius and his general Marcus Antonius swore an oath to revenge his death; therefore, Marcus Julius Brutus and Gaius Cassius Longinus, whom were deemed responsible for the assassination, had to leave Rome. Marcus Antonius and Lepidus were the generals of Caesar. 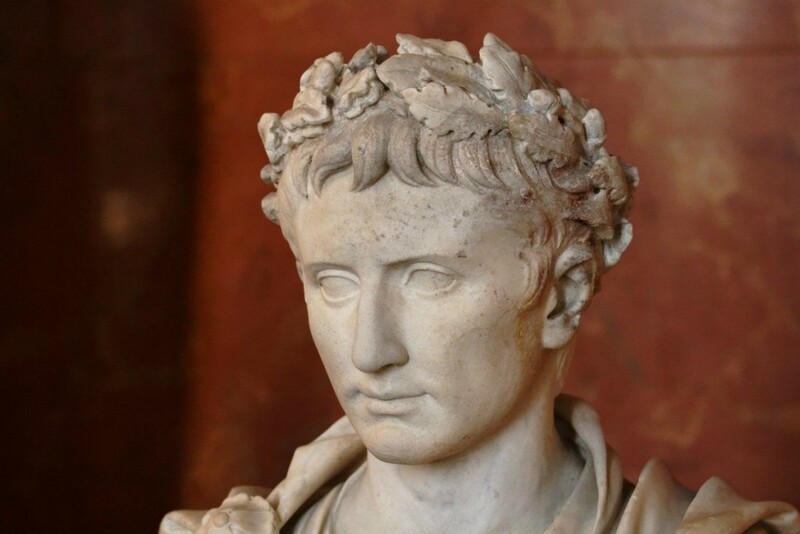 Octavius was the foster child of Caesar. Octavius beat his most serious rival Antonius (and his ally Cleopatra) and Rome entered a new period. Therefore, we can say that great strategist Julius Caesar, who was not an absolute monarch yet, might have been killed in vain. Senate, who pulled him off the Republic and sent him to the other world, had to accept the power of Octavius (Augustus) by force of arms. 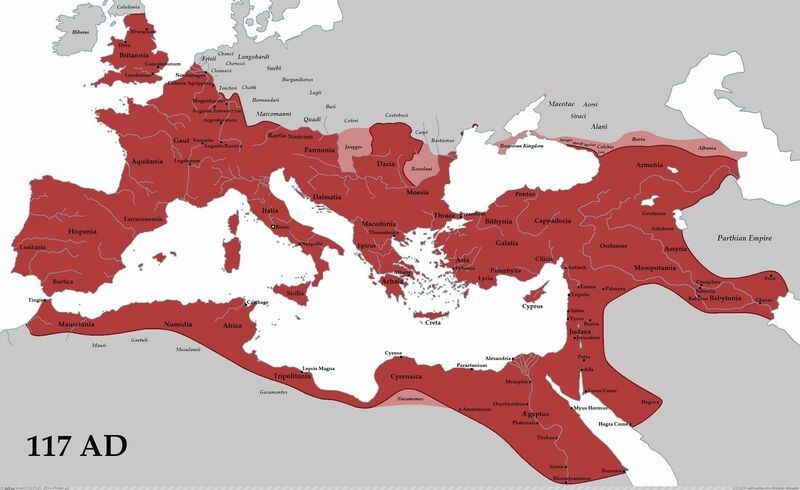 During the reign of Augustus and the following empire era, Rome reached the largest borders and expanded its hegemony to the majority of the known world. After this dynasty, Roman throne was changed a lot due to military coup d’états. Following a chaotic period during the 3rd century, first reformation movement came from the Emperor Diocletian. Having put the turbulent political life of Rome in order, Diocletian developed the model of tetrarchy. Comprising of great emperors in East and the West (Augustus) and secondary emperors as their aides (Caesar), this political administration model simplified the governance. 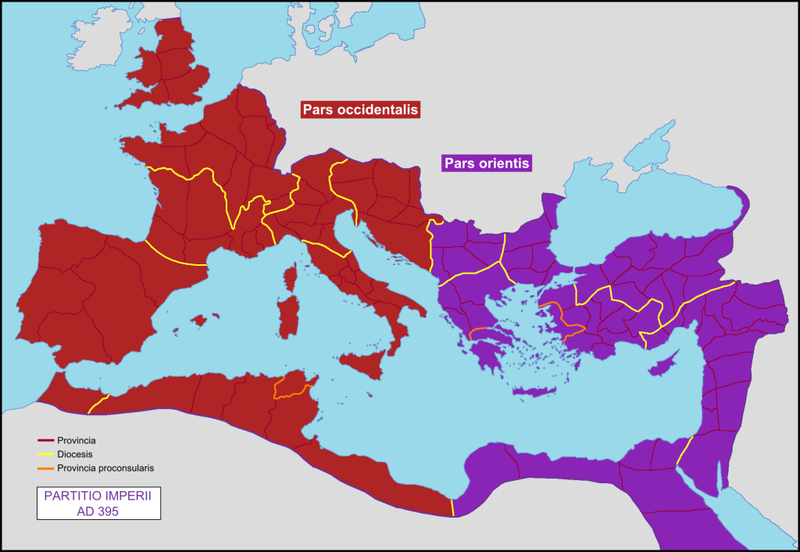 At the same time, this system heralded the division of Rome into two as the East and the West. Diocletian wanted to make Izmit (Nicomedia) as the capital of the empire and he built this city for that reason. 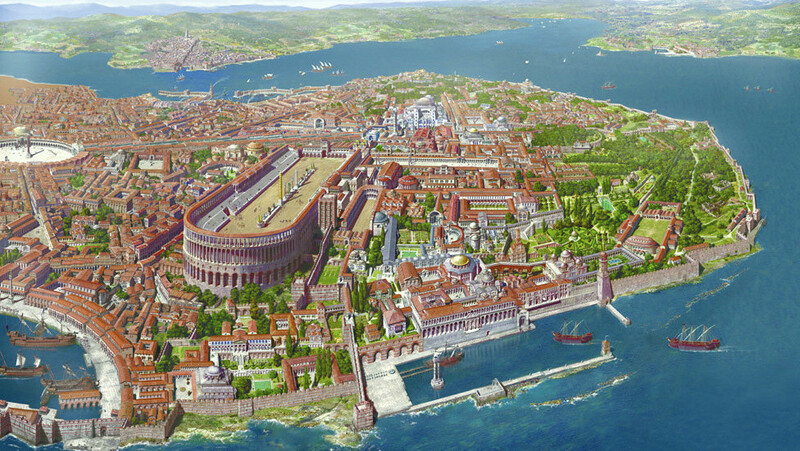 Constantinople The Second Capital Of Roman Empire 330 A.D. It was Emperor Constantine who officially made the idea of moving the capital of Rome to the East real. As a Caesar in tetrarchy, Constantin managed to get rid of his rivals, consolidated the power and captured Rome. Although most people living in Istanbul today do not realize it, it was actually Constantine who turned Istanbul into a real city by the name of Constantinople. 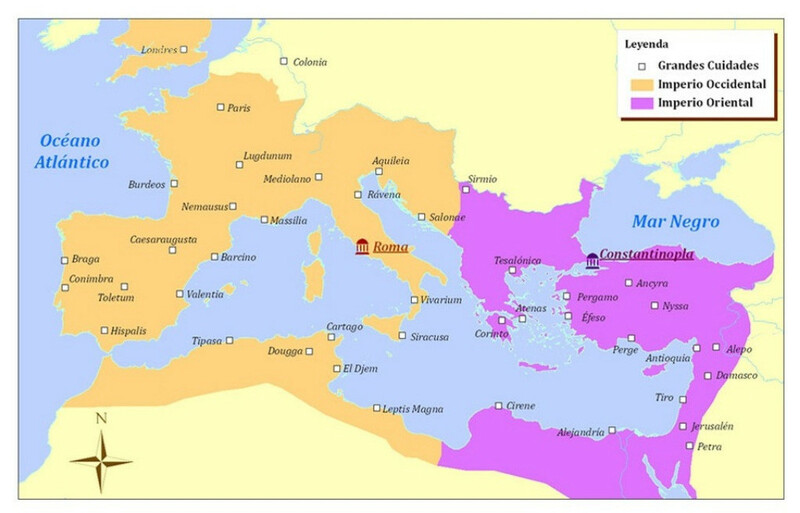 A small Greek city Byzantium had become the new capital of Rome beginning from A.D. 330. Constantine did not ignore the inevitably rising power of Christianity and followed it with sympathy unlike his previous counterparts. Eventually in 315, he gave Christians a right to pray freely with the Edict of Milan. Christianity became the official religion of the empire in the following years. Emperor Theodosius divided the empire into two between his sons in 395. 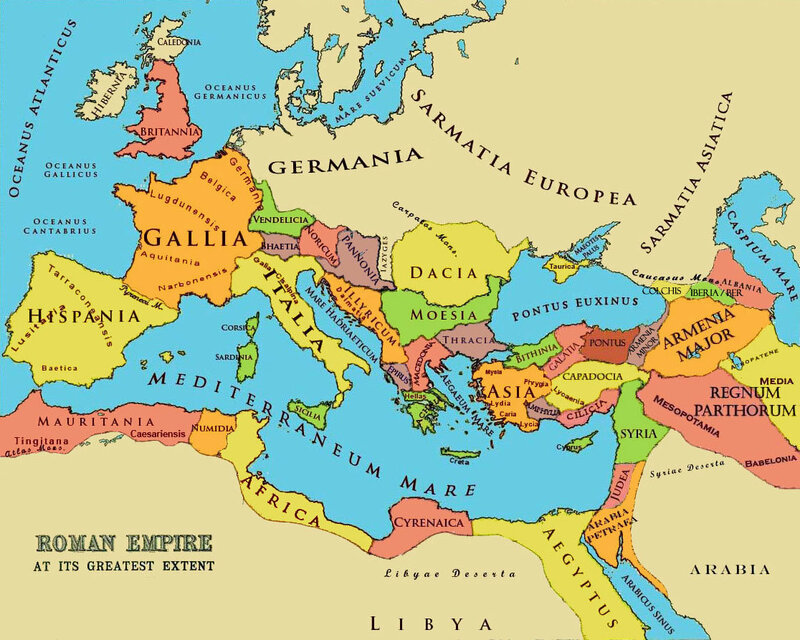 Arcadius became the Eastern Roman Empire with the capital as Constantinople. 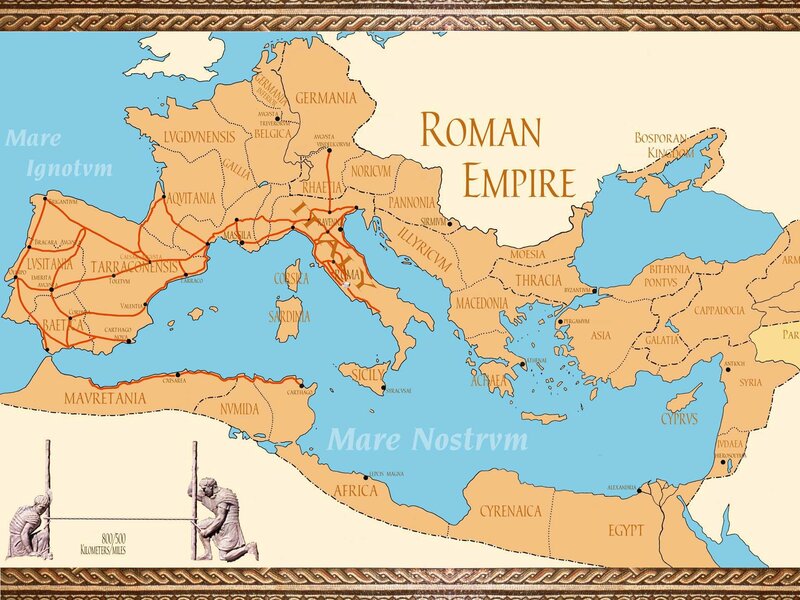 Honorius became the emperor of Western Roman Empire with the capital as Rome. 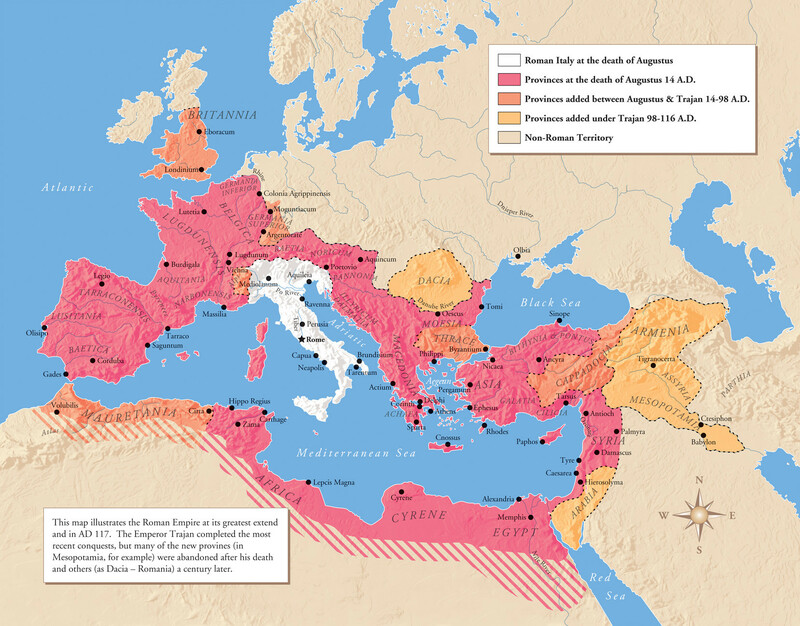 In 476, Western Rome collapsed due to the barbarian attacks from the north. 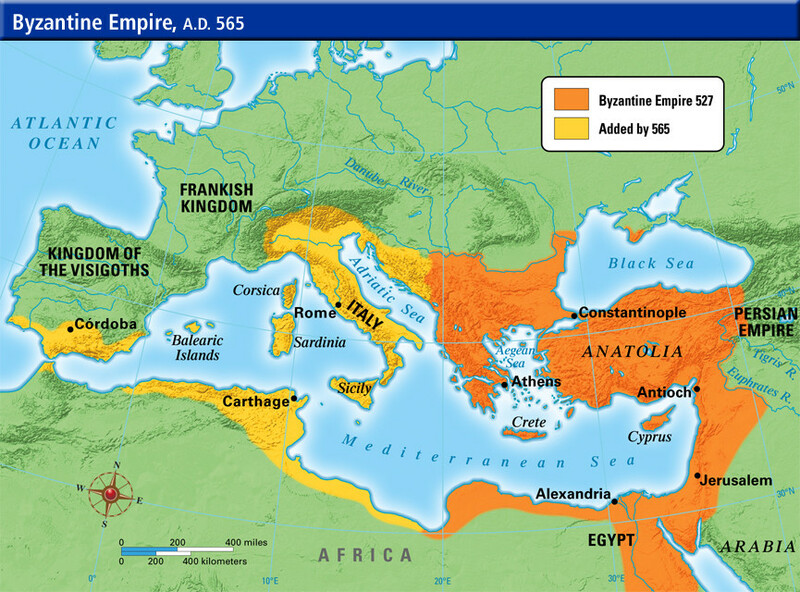 Widely known as Byzantine Empire, Eastern Roman Empire continued its existence until 1453. One of the titles given to Mehmed the Conqueror, who conquered Constantinople, was the Emperor of Rome. 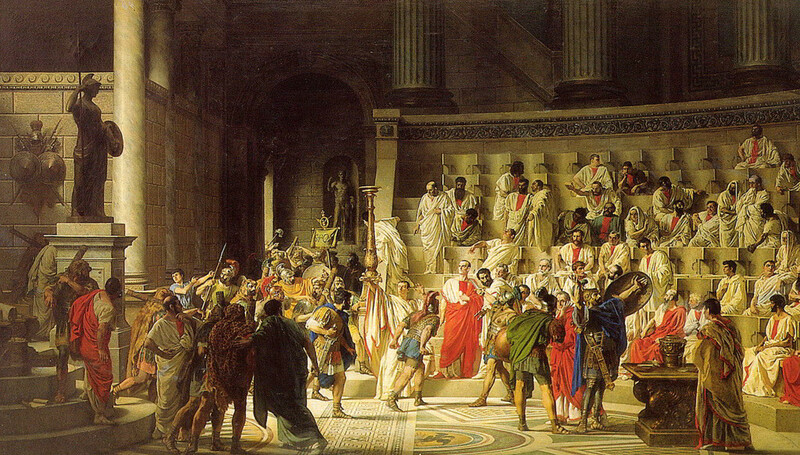 In the West, the political gap after the collapse of Western Roman Empire was filled by the Roman Catholic Church. Established at the heart of Rome, Vatican and Saint Peter’s Basilica, the residence of the Popes, rules over the kingdoms in Europe for many years. These useful maps can help you grab the history of the Roman Empire over years.